New Traxxas Upgrades From RPM « Big Squid RC – RC Car and Truck News, Reviews, Videos, and More! The folks over at RPM are well known for making ultra-durable hop-up parts. 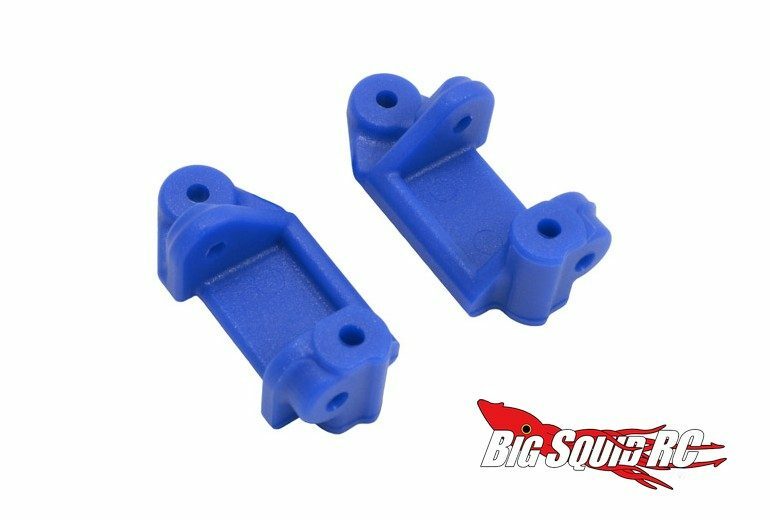 Today they announced three new blue upgrade parts for Traxxas owners. First up is a set of Blue Front Bearing Carriers for the Slash 2wd, Nitro Slash, Rustler, and the 2wd Stampede. The blue carriers use oversized 5 x 11mm bearings and are made from RPM’s legendary blend of plastic. Pricing is just $8 and they have a part number of #80375. 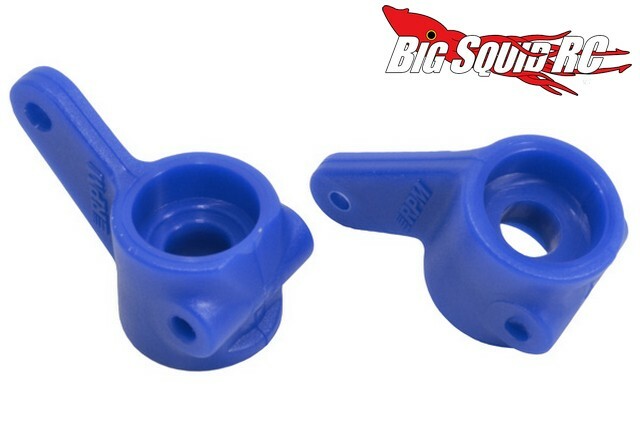 The second new part is Blue Rear Bearing Carriers for the Slash 2wd, Rustler, 2wd Stampede, and the Bandit buggy. 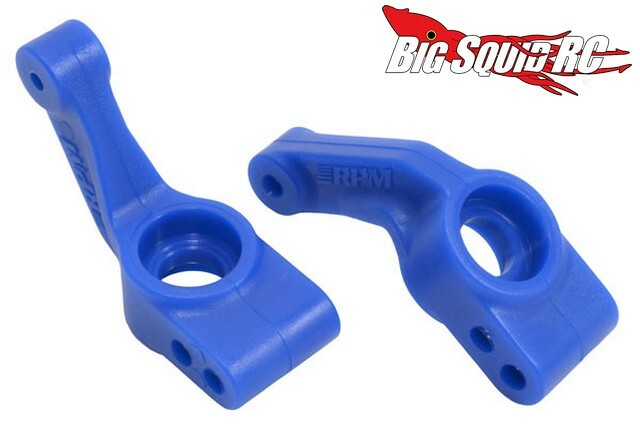 The blue colored rear carriers use 5 x 11 x 4mm bearings and have a part number of #80385 with street pricing of just $8. The last new part is a set of Blue Caster Blocks. These were designed to take all sorts of abuse and should go a long ways towards beefing up your Slash 2wd, Nitro Slash, 2wd Stampede, or Rustler. Street pricing comes in at just $9 and they have a part number of #80715. Get all the latest RPM News right here on Big Squid.